Wholesale pricing CS-Cart modification is a useful solution in case you need to assign several prices to one product or product variants on the product page and calculate the total price via wholesale trade. Let's assume this CS-Cart modification on a real store. We take the online store of bedding in Russia as an example. As you can find in the image below, each product variant: single bed, double bed, and king (there are other sizes in Russia) have several prices. The first column contains retail prices for different product variants. The second column indicates the wholesale price per unit in case the customer selected sets on the total sum over 5 000 RUB. The third column shows the most advantageous prices for dealers or distributors in case they intend to buy sets on over 15 000 RUB. The last column is a field where a customer selects the required number of each product variant. Under the table, you see the total sum of this position in the future order. After selecting the required number of certain sets, the customer press Add to Cart button and all chosen products will be placed into Cart. We select only 1 single bed set of bed-linen. We see the retail price (2220.00 RUB) under the table as the total sum doesn't reach the first wholesale price. If we choose 3 different variants of one product, we may make a purchase as a dealer with lower prices per unit. Retail prices 2220+2500+2680=7400. 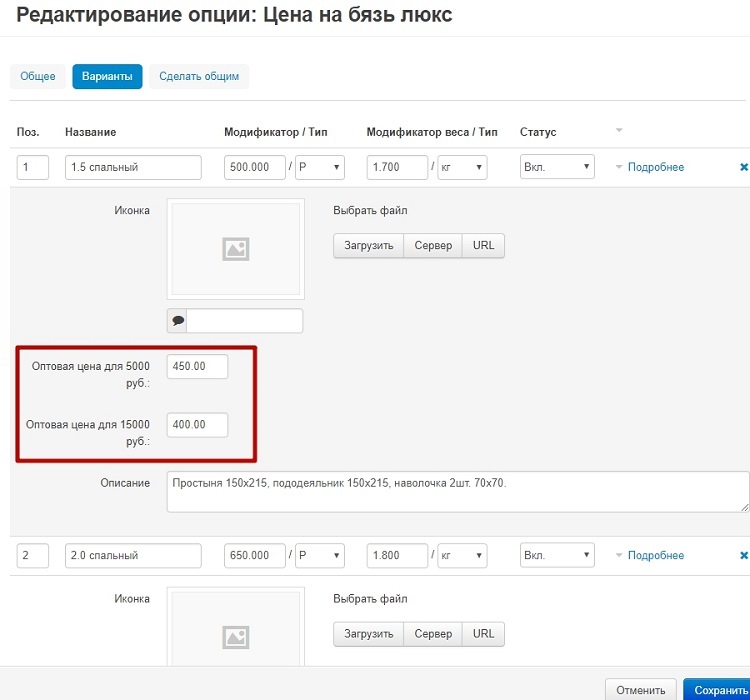 The total sum is over than 5 000 RUB, so the customer gets the prices from the second column, and the total price will be 1665+1875+2010=5550 RUB. So, 7400-5550=1850. It's a discount that the customer gets in case buying in bulk one product. Note, that to get wholesale prices on other product (for a sample, another type of bedding) you need to buy in bulk this product. You may enter wholesale pricing figures on option variants editing page in the backend. You can use only 2 levels of min and max total sum for wholesalers. To create an attractive table with variants and its prices, you need to uncheck the appropriate field. The number value of the levels you may change in the settings. This modification doesn’t work with CS-Cart MultiVendor. If you have MultiVendor edition, please, contact us to get a price on this modification. The modification works perfectly with CS-Cart 4 versions. Pay attention to the fact that Wholesale Pricing is the CS-Cart modification, not a ready-to-use module. 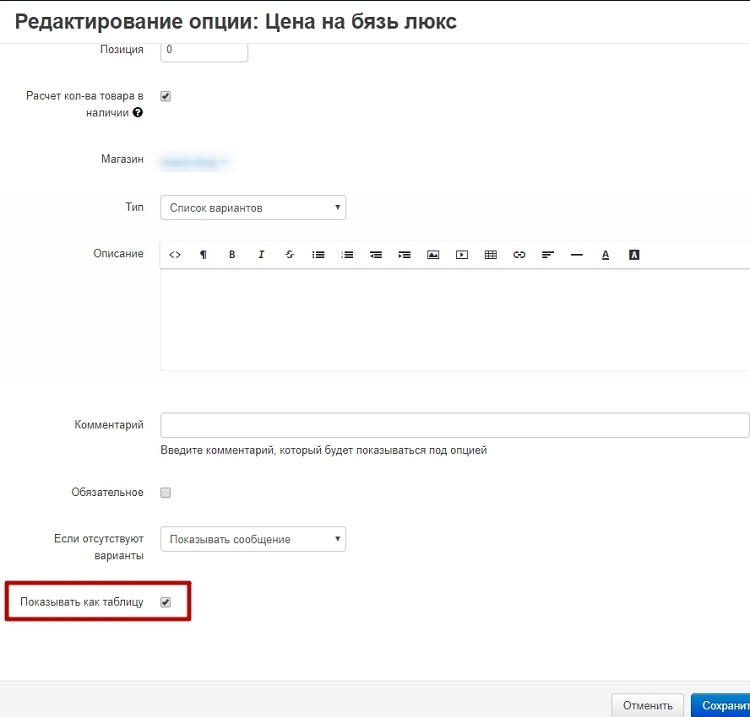 This solution is required to be configured by our developer, please, contact us to make it!